Home>Blog>Homemade Organic Fertiliser: How Is It Made? With holistic and organic growing on the rise, it only makes sense that ecologically-minded cannabis growers should have a go too. Why not start by creating some of your own fertiliser? It's cheap, eco-friendly, and makes for some astonishing, all-natural bud! Here, we've listed a few methods to get you going. Recently, more and more people are taking on the debate “How organic is organic?” With large-scale production lines and the aid of adept legal teams, loopholes can always be found. The only way to be sure if something is organic, of course, is to create the product yourself. Fertilisers will always produce the same results; the greater the nutrient intake, the higher the yield. With that said, different fertilisers will influence that result. Often, store bought synthetic fertilisers are sold at affordable prices, even offering an optimised breakdown of NPK (we’ll come to that shortly), making it a reliable source of nutrients. However, putting some extra effort into making an organic fertiliser can offer better, more sustainable results. This is a cheap, sometimes even free method, is in no way dangerous, and is more environmentally friendly. The cycle of composting, for example, provides an inexpensive method of using waste products to create a natural, strong, high-nutrient holding bioproduct. Also, growers often change the soil regularly, throwing away old soil and replacing bag after bag, pot after pot. With composting, the cycle keeps turning, and is much more cost-efficient in the process. The predominant feature of the debate between store bought synthetic and organic fertiliser is evident in the title; one is a product of petrochemical-intensive monoculture production, where under laboratory conditions a fertiliser has been created to maximise growth through balancing pH levels and strict NPK levels. These are the synthetic fertilisers, however, you can achieve similar or even better results at home! All it takes is the right knowledge, some effort, and a green thumb. So, how do you get started? EDIBLES: WHAT DO PLANTS EAT? Firstly, an understanding of NPK and where to find it (if you don’t already know) is needed. 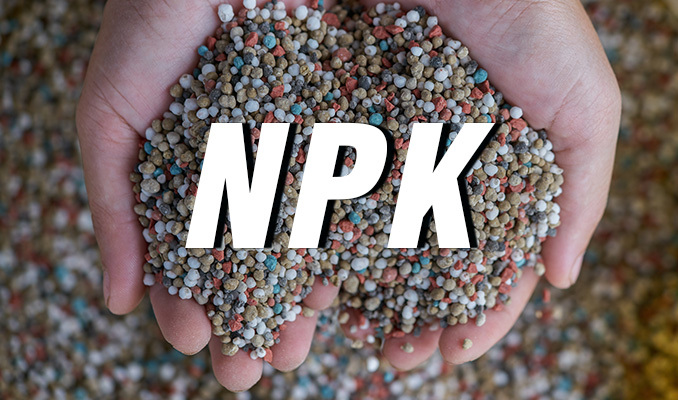 NPK stands for nitrogen (N) phosphorous (P) and potassium (K). To put it simply, they are macronutrients; what plants digest to encourage robust development and good health. Micronutrients are also needed; very small does of metals and minerals, which are just as important as NPK for good plant growth. Some examples of these include magnesium, manganese, cobalt, calcium, iron, copper, zinc, iodine, selenium, and molybdenum. In addition to the above, other organic compounds, including naturally-derived vitamins and acids, should also be included in a plant’s diet. The synthetic production of these nutrients is done in an effort to increase shelf-life, promote ease of transportation, and most of all, turn a profit. So, to break down the above, by understanding a plant’s nutrient needs, you are on your way to formulating and constructing a strong organic fertiliser which maximises growth and yield, using all natural, inexpensive, and eco-friendly ingredients and methods. The right dosage of these ingredients at the right times will equal top yields. One of the best and easiest organic fertilisers to make is compost. If you’re not familiar with composting, it’s a simple (albeit slightly time-consuming) process. The general idea is that your food waste from the kitchen and garden waste (grass, hedge trimmings, etc) is stored in a composting bin, and then left over a period of weeks to create compost—a robust, eco-friendly, and cheap fertiliser. Spend some time getting to know composting, and how to get the best results for your plant(s). You can include most ingredients, however, here is a brief list of things you can’t include: dangerous weeds, meat, animal waste, faeces, or chemicals. Side note: With composting, you can also make compost tea. Simply add one part compost material to two parts water and let it sit for 3–4 days. After this period, use the water as fertiliser, as it should have combined with the compost to create a nutritional liquid for your plants. • Soaking seaweed in water for 2–3 weeks can provide a good source of nutrients for your plants, using the liquid as a fertiliser. Again, another very cost-effective, but time-consuming method. • Adding banana peels adds a good deal of potassium, so adding to compost or soil will provide a good source of the K in NPK. • Adding eggshells to your soil can provide a good source of calcium. • Manure. Manure is a broad term, for there are different nutrients in different animal waste. For example, rabbit is a perfect manure to use for fertiliser, whereas chicken is high in NPK and needs to be diluted. Make sure you do thorough research if you are willing to take this route, as there are some potential, medium-sized risks involved. • Urine. Although slightly off-putting, diluted urine (diluting is the important part, as pure can cause damage/kill plants!) is an extremely good source of nitrogen. Make sure you’re healthy for this, then add 8 cups of water for every 1 cup of urine. Not the most glamourous, but another good source of nutrients. All in all, you need to find what works best for you. Some methods, especially if you haven’t got access to a garden, may be somewhat unachievable, but not impossible; it just takes a little dedication and effort! If you want to go fully green, sprout your green thumb and leave the synthetic fertilisers behind! Just get growing. The greener, the better.